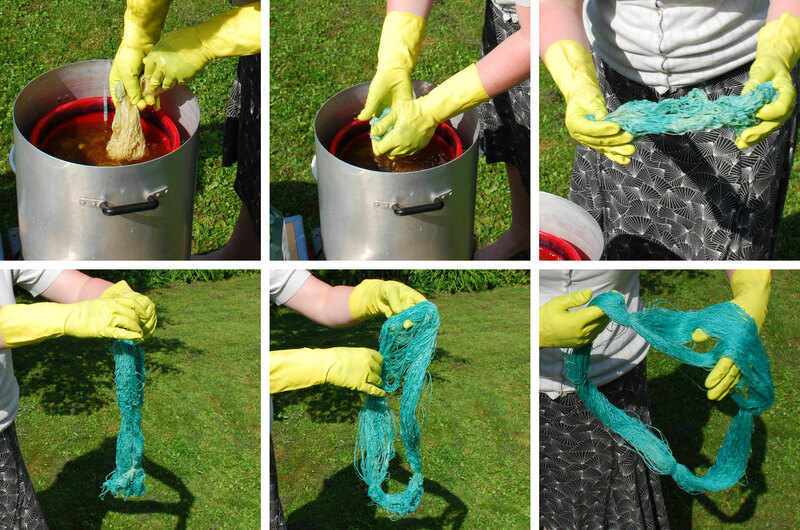 I have totally forgotten to tell you about the dyeing I did in August. 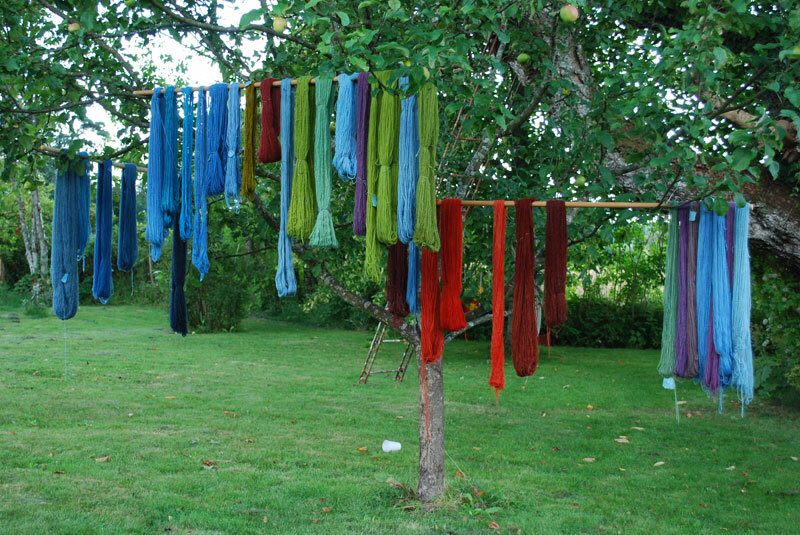 When everyone else had a wonderful time at Visby Medieval Week we decided it was time for some more dyeing. This time we went to Sigrid and Egil and the main focus was indigo and madder. Sigrid had prepared the indigo reduction but made a slight miscalculation so instead of dark blues we got the above result. It was still very pretty! The red yarn is dyed with madder, most of them are over dyed with yarns we dyed in July that didn’t turn out with a useable colour. We also hade some yellow wool from the birch leave dyeing that we over dyed with indigo. Yellow + blue = very pretty greens! 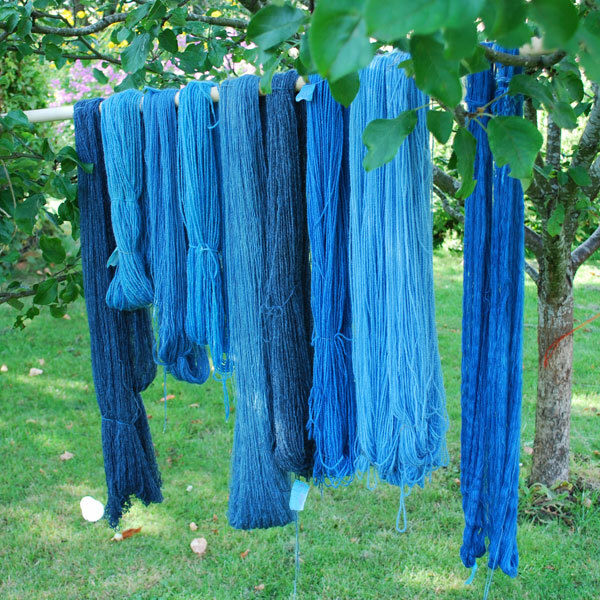 Dyeing with indigo is very special since the indigo needs to be combined with oxygen for the yarn to turn blue. You may then put it down in the dye bath again and take it up to get a more intense colour. Dyeing silk with indigo. See how the yarn becomes more and more blue as the indigo is combined with oxygen. 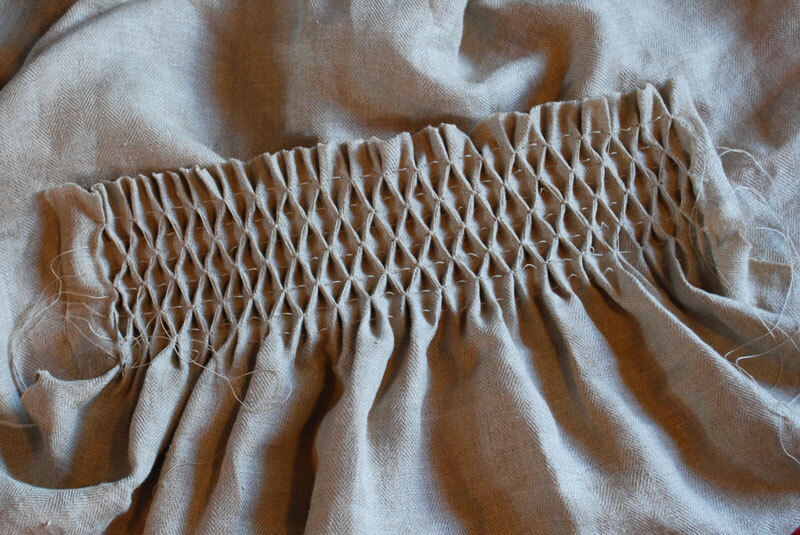 I’m eager to try more indigo dyeing, especially with the silk. 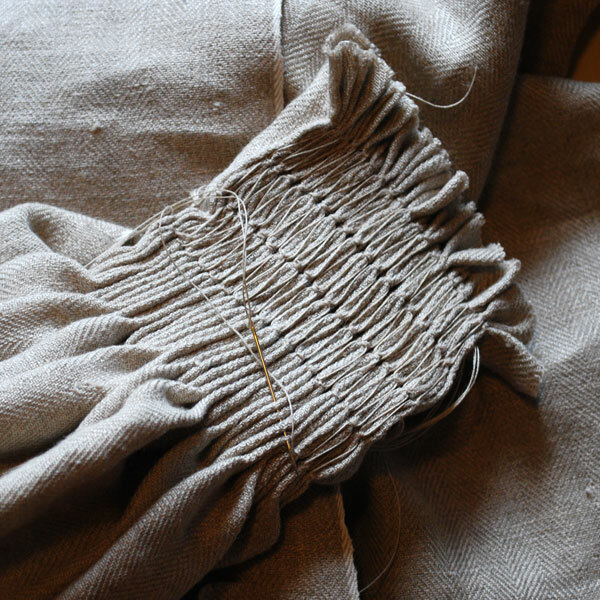 The silk I just during the dyeing was purchased from Solsilke and it will be interesting to see how well it works with tablet weaving. 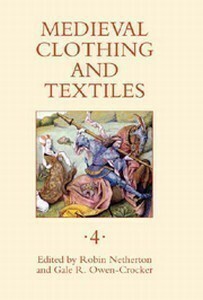 I bought two different types of thickness, one for weaving and one for embroidery. Came home from work today (first day after summer vacation) and the mailman had brought me a package! 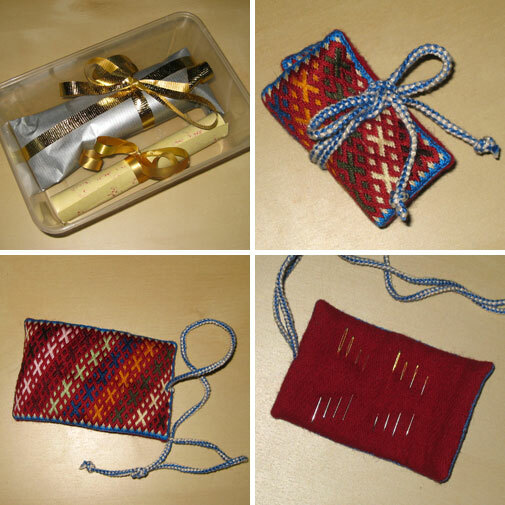 It was a lovely Crafty Challenge gift from Racaire – a very cute needle roll. Thank you Racaire! On another note, a couple of weeks ago I gave Dis her Crafty Challenge gift. It’s was my latest tablet woven band (TWE No 3). She promised me pictures when she has put it to use (probably on her viking garb).